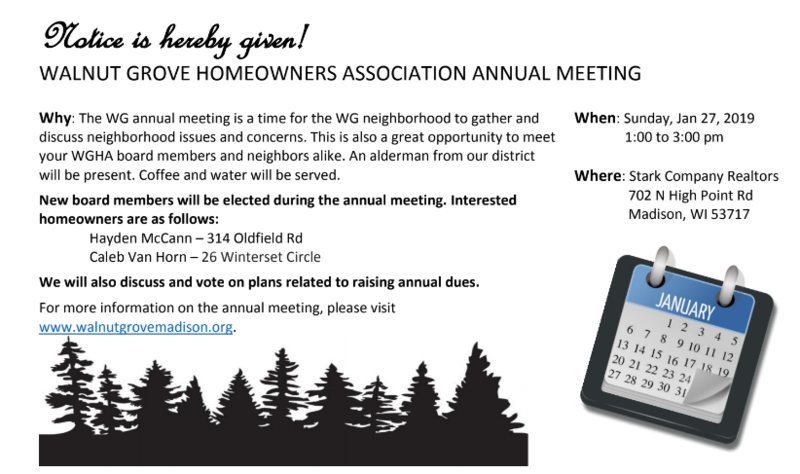 Save the date for the 2019 WHGA Annual Meeting scheduled for Sunday, January 27th from 1-3pm. This year we will discuss and vote on plans related to raising annual dues. We also need FOUR additional board members for 2019. Please contact any current board member directly or walnutgrovemadison@gmail.com to volunteer.